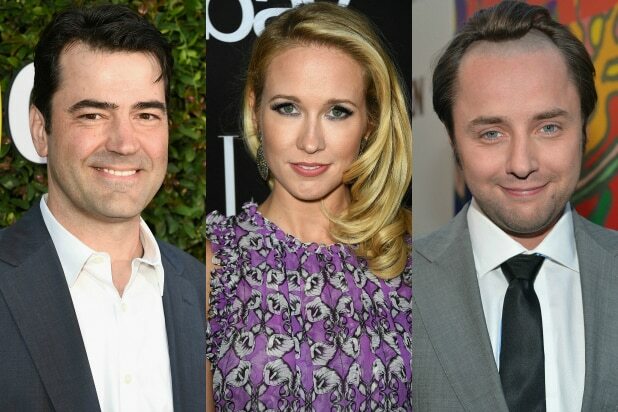 Ron Livingston, Anna Camp and Vincent Kartheiser are among the “saints” marching in on National Geographic Channel’s miniseries, “Saints & Strangers,” network insiders told TheWrap. Joining the trio as “Saints” are Barry Sloane and Michael Jibson. The “Strangers” will be played by Ray Stevenson, Natascha McElhone and Brian F. O’Byrne, while the Native Americans include Raoul Trujillo, Tatanka Means and Kalani Queypo. The epic explores the trials and tribulations of the first settlers at Plymouth: 101 men, women and children who sailed on a chartered ship for a place they had ever seen, according to Nat Geo’s summary. Of this group, half were those we know as “Pilgrims,” religious separatists who abandoned their prior lives for a single cause: religious freedom. The other, the “adventurers,” were motivated by real-world material objectives as opposed to spiritual ideas. “Saints & Strangers” is directed by Paul Edwards and produced by Sony Pictures Television with Little Engine Productions. “We are delighted that our epic historical adventure will come to life with an amazing cast of brilliant actors,” said Helen Verno, executive vice president, movies and miniseries, Sony Pictures Television. See complete cast breakdown below. Vincent Kartheiser (“Mad Men”) plays William Bradford, the colony’s moral compass who would eventually serve as long-time governor of Plymouth Colony. Anna Camp (“Pitch Perfect,” “True Blood”) is Dorothy Bradford, his wife, still haunted by their decision to leave their three-year-old son behind for the journey to the New World. Ron Livingston (“Band of Brothers”) stars as John Carver, the initial leader of the Pilgrims and the first governor of the Plymouth Colony. Barry Sloane (“Revenge”) plays Plymouth leader Edward Winslow who would serve as a diplomat to the nearby Pokanoket tribe and their leader Massasoit. Michael Jibson (“Hatfields & McCoys”) is Myles Standish who, though not a separatist himself, was hired as the colony’s military adviser. Ray Stevenson (“Divergent”) stars as Stephen Hopkins, a leader of the strangers — albeit one with a checkered past — and the only Mayflower passenger who had previously been to the New World. Natascha McElhone (“Californication”) is his wife, Elizabeth Hopkins, who gives birth to their second child aboard the Mayflower and is one of only four women to survive to the first Thanksgiving. Brían F. O’Byrne (“Aquarius”) is John Billington, an antagonistic patriarch of a family known for troublemaking. Raoul Trujillo (“Apocalypto”) plays Massasoit, the sachem — or leader — of the Pokanoket tribe. Plague has decimated the Pokanoket population, leaving Massasoit uncertain of how to deal with the arrival of the new settlers. Tatanka Means (“Banshee”) plays Hobbamock, one of Massasoit’s men and a Pniese — an elite warrior thought to be unkillable in battle. Kalani Queypo (“The New World”) is Squanto, a former captive and slave of English explorers, who has crossed the Atlantic four times and acts as a translator and negotiator between Massasoit and the governors of the Plymouth Colony. Executive producers on the project are Grant Scharbo, Gina Matthews, Teri Weinberg and Eric Overmyer. Overmyer and Seth Fisher are writers. The original script was written by Chip Johannessen, with revisions by Walon Green. For Sony Pictures Television, executive vice president of movies and limited series is Helen Verno. 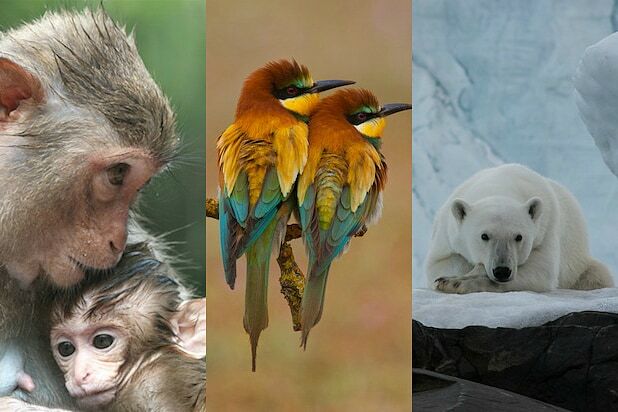 For National Geographic Channels, president of original programming and production is Tim Pastore; vice president of production is Matt Renner.